Panasonic has unveiled a new wireless Chargepad today, which it has added to its range of products, and allows you to wirelessly charge your mobile charges, by simply placing the mobile charger on top of the Chargepad. Allowing you to easily grab them when you leave the house or office and keep them handy just incase your main mobile phone battery should dry up. Together with the Qi-certified Chargepad, Panasonic also unveiled two new compatible chargers the 5,400mAh model QE-PL201-W will be priced at $67, while the QE-PL101-W with 2,700mAh will cost $49. 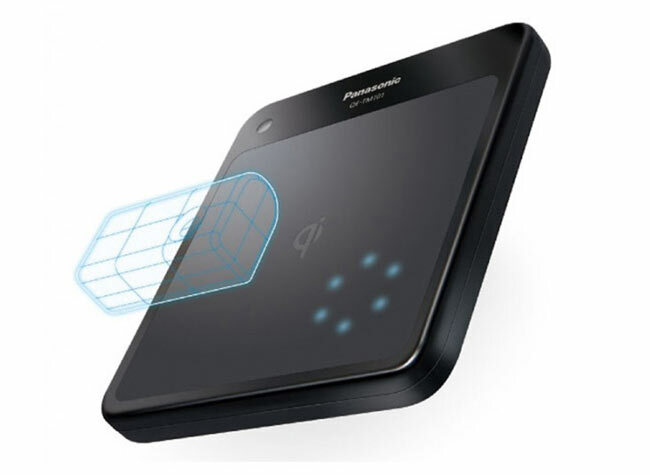 Panasonic will start shipping its new Chargepad on June 24th from around $61 in Japan. Unfortunately no information on pricing or worldwide availability has been released as yet, but as soon as it becomes available we will let you know.